A happy new year to free music software hunters everywhere: let's hope 2011 will be as filled with gratis download goodness as 2010. We're certainly hitting the ground running; if you scroll down you'll find six free plug-ins that'll help you to shake off those January blues. Free filter plug-ins aren't exactly few and far between, but the developer says that this particular one happens to allow for extremely steep filtering. It uses "high-order filter design methods that are commonly used in science and engineering," resulting in low-pass, high-pass, band-pass, band-reject, high/low shelving and peak/dip filters of orders up to 20 for the user. VMP1 stands for Virtual Mono Poly - yes, this synth is both 16-note polyphonic and monophonic. There are four oscillators plus filter, LFO, Envelope Generator, Delay Effect, Portamento and Output Amplifier sections, giving the classically-styled interface a very familiar look. This monophonic analogue-style synth has two oscillators, an LFO, a filter and an ADS envelope. If you think it looks familiar, that'll be because it's designed to emulate the Moog Prodigy, a 1979 synth that's particularly useful for basslines. Madrona has pulled the reverb unit out of its Aalto synth, packaged it up in an Audio Units plug-in and then served it up as a free download. It's not exactly a complex device, having just dry/wet mix and brightness controls, but that'll make it easy to use, and CPU efficiency is also promised. Another synth, this one creates its sounds via phase distortion, a tone generation method that was pioneered by Casio in the '80s. There are two oscillators, a waveshaper, three LFOs, a randomizer, two ADSRs, a tone controller, a filter and a delay. 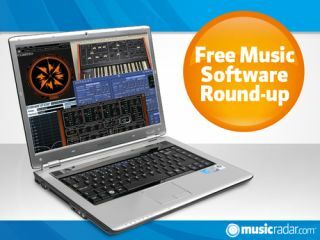 This is the free software that's used to host Ueberschall's Elastik loop libraries and comes with a demo soundbank to get you started. Loop tweaking can be done via the Loopeye interface, while there's now a browser, sequence mode and zplane.development's timestretching algorithm built in, too.